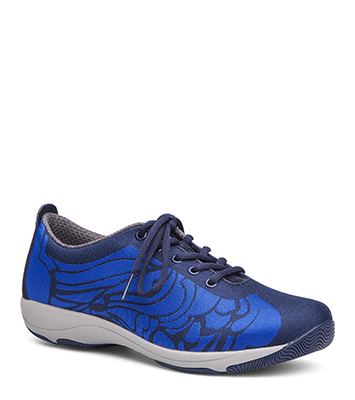 The Dansko Blue Multi from the Hanna collection. Sporty and stylish, the Hanna sneaker gives your feet the comfort and support they need to complement both work and play. The upper is a canvas made from a fine cotton fabric which is dyed and woven.